Wow…talk about a baptism of fire! I’m writing this after the first week in my new role. It’s been a crazy, scary, exciting, tiring week. First, a bit of context. As some of you will know. I’ve been out of the class for two years. I’ve been training teachers on how to use the Hampshire VLE and generally this meant working days of 9-3 with an hour or so travel either side. However I did work extra at home and at weekends too, but a lot of what I did involved working on my own ideas or working to my deadlines. School is totally different. You HAVE to have the work done for the next day otherwise the children will have nothing to do. This is even more important for the PPA teacher. Which is me. My new role consists of Monday out of class (more on that in a bit) and then PPA covering 7 different classes from Tues to Fri. This ranges from Class 5 who are year 1-2 right through to classes 9/10/11 who are year 5-6. So yes, I need to be adaptable! Over the summer we had a new network put in. Schools often do a bit of new ICT stuff, we did the works. We had 34 new netbooks. We upgraded the network ports to gigabit so it all runs faster. We installed a Meru managed wireless network. We upgraded to Office 10 and Windows 7. We didn’t do it half-heartedly at all! However, this has meant an interesting week on the ICT front.Luckily we have amazing tech support from the guys at Agile so any hiccups were sorted by Monday evening. The main issues we had involved the change of Office. We found that it is very different to Office 2003 and buttons have moved or disappeared completely. For example, you used to click twice to scan a document directly into Publisher. Now we can’t find the scan option. I’ll be Googling it this weekend. The netbooks have been a dream. They’ve been used about 8 times now and they’ve been amazing. I was using them with my 5th class before realising that the trolley wasn’t charging inbetween uses. They still had 2+ hours left! Truly fantastic. If buying netbooks for school, make sure you ask for 6-cell batteries. Makes a world of difference. Although new to the school, I did spend 5 days there before the summer so people knew who I was. 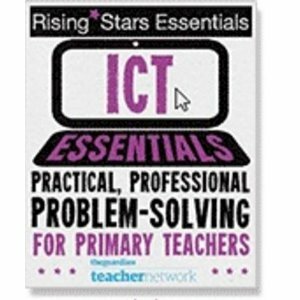 This has probably helped as I’ve had 10-15 questions a day about ICT. ‘Can I borrow you for a minute…?’ seems to be my new name. But it’s good. I want the staff to be happy to approach me and I want them to be excited too. In class the tech went well although we had a few small connection issues with Wallwisher as it had a ‘blip’ on Tuesday but the teacher saw it, loved it and wants to make her own. We managed to get a class of Year 1-2s logging on independently for the first time ever too! I’ll be trying that with two more classes on Monday. Then there was Prezi. Prezi is a fab tool but it does require an email address to log in. @primarypete_ confirmed that I could get lots of children logging on with one email address so we did that. It worked well as I could show them all at the end of the lesson through that account too. One thing to watch out for is the Save information. Prezi saves every minute or so, but occasionally it said ‘reconnecting’. It never reconnected so I told the children to press Back and reload their work if this happened. They did and it seemed better. I’m not sure if this was because we had 30 logged in on 1 account or if it was the wireless. Their work turned out great though! On the ICT side of things it really has been fantastic. My two biggest concerns are that the office are having problems with Office 2010. Some of the county-provided templates aren’t working and it is slowing them down a lot. Currently county have no support for Win7 or Office 10, but as @dfearnley pointed out, maybe we should’ve checked that before upgrading. The other thing is that the ICT suite hasn’t been touched yet. People are using the netbooks in class which is great, but I wonder if they will still feel the need to use the suite? Hopefully they will! And now non-ICT stuff. The biggest problem I’ve had is names. I know some teachers that have problems with learning names and some that can do it in an instant. I think I’m more towards the latter. I work in 7 classes which is roughly 210 pupils. I have never met so many Alexs (Alexi? ), Adams and Amys in my life. I am getting there, but there are just so many to remember!! I’ve learnt that PPA teachers don’t get lunch breaks as they need to move their stuff from 1 class to the next, mark the morning work and prepare for the afternoon as well as sorting any ICT issues, but it’s been great. I’ve had such a good week and I know it’s only going to get better. I’m looking forward to Mondays which have been set aside for ICT training and team teaching. I’m looking forward to working with parents and governors and showing them our blogs and new website. I’m looking forward to forming letters using Playdough with Class 5 on Wednesday and I’m looking forward to developing my teaching with Year 5-6 as well! I know I’ve waffled and jumped all over the place, but that sort of reflects my new job! It’s a little bit of everything with a bias towards ICT. Thank you to everyone who has helped with ideas or commented on the blogs so far. It’s going to be a good year! But they’re only Year 1’s! Gosh – you have achieved so much in such a short time – congratulations on your fantastic start to the year. All of your prep has paid off I’d say! I’m looking forward to hearing about what happens next (have left a comment on your class blog too – love your Prezi work! ), but don’t forget to breathe and enjoy working with the kids too. Sounds like you are doing a great job mate 🙂 keep it up!